Game Show Host Monty Hall Dies At Age 96 - Joe.My.God. Monty Hall, the genial host and co-creator of “Let’s Make a Deal,” the game show on which contestants in outlandish costumes shriek and leap at the chance to see if they will win the big prize or the booby prize behind door No. 3, died at his home in Beverly Hills, Calif., on Saturday. He was 96. A daughter, Joanna Gleason, confirmed his death. She said the cause was heart failure. 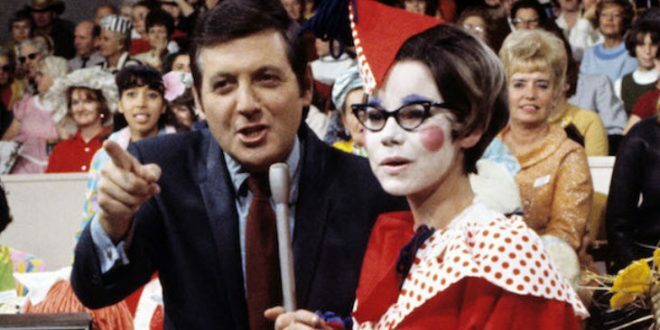 “Let’s Make a Deal” had its premiere in late 1963 and, with some interruptions, has been a television phenomenon ever since. “Monty had to be a very likable con man; he had to convince people to give up a bird in the hand for what’s in the box,” David Schwartz, the author, with Fred Wostbrock and Steve Ryan, of “The Encyclopedia of TV Game Shows,” said in an interview.